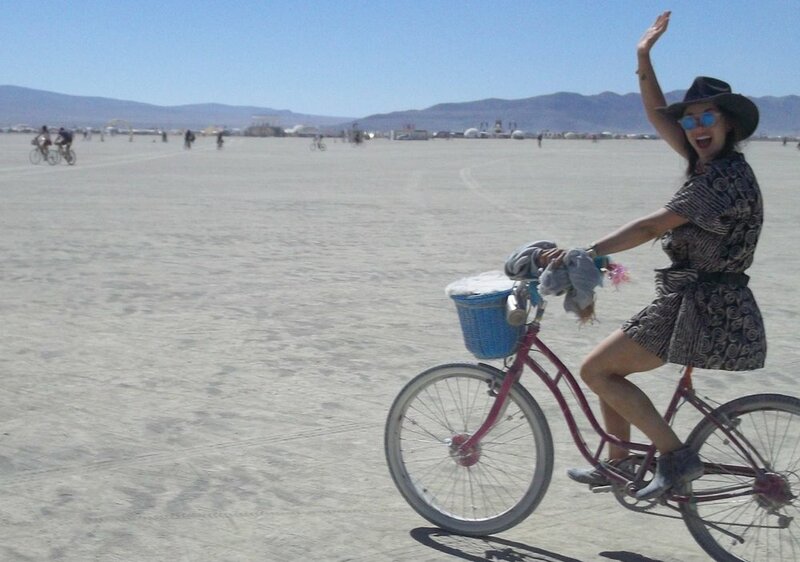 There are 10 Principles that make up the culture of Burning Man. For all of 2017, I lived out one principle, each month. I shared my story through a weekly newsletter. The result? The self-designed experiment was surprisingly profound, and unexpectedly challenged and changed my life for the better. While 2017 is over, the principles are still enriching my life, and I'd love to share with you! I initially dropped it for its perceived impracticality. I mean, how could “Decommodification” — no transactions, no advertising, no commercialization — work in Brooklyn? Does that mean I can’t buy anything for a month? Or earn any money? But, as with a lot of good ideas, it kind of stuck around. And, as I mulled it over, I realized I had a deeper question: How do the beliefs we live our life by affect our interpretation of reality? Specifically, is it possible to reverse engineer positive experiences in our lives, by adapting their associated mindsets into our day-to-day? What if we could recreate the mental shifts we find on vacations, retreats or during other major life events through small daily actions and a little extra attention? To read more on the project's background, check out my Medium article: "The 10 Principles Project: A Year-long Experiment"